This large diverse continent is waiting to be explored. With the rugged Rocky Mountains, sophisticated cities, never ending forests, and dramatic coastlines there is truly something for every type of traveller. North America is the story of ancient civilizations, a monumental history, nature's greatest template. It is simply an example of awe-inspiring ingenuity. Iconic cities, high-plain deserts, wild forests, undiscovered beaches and wilderness treks are just a few attractions that come to mind at the mention of North America. North America is home to countless historical sights and visitor attractions ranging from the Yellowstone National Park to the Metropolitan Museum of Art, so it's no surprise it is an extremely popular destination among cruise enthusiasts. The list of things to do and see is endless and guaranteed to take your breath away. North American Cruises promise excitement and adventure, be it trekking through undulating rolling fields, listening to the roars of rushing waters, or uncovering ancient rites. The diversity of cultures, customs and landscapes in North America makes it the ideal destination for satisfying tourists with varied tastes. With endearing natural wonders, mouth-watering cuisine, exotic wildlife and extravagant cultures, North America is an area where you will wish to return to again and again, and there are few better ways to do so than on board a luxurious cruise ship. A cruise to North America is money truly well spent. With the vast array of landscapes, wildlife, cultures and walk of life, it isn't any surprise the region is one of the most popular cruising routes out there. Make sure you book early as these cruises are in high demand. Royal Caribbean, P&O and Silversea are just a few of the major cruise liners that have North American itineraries. Columbia and Snake River are just examples of popular river cruising destinations. This 5 night Cunard cruise from Vancouver to Los Angeles is perfect for a short break, including 2 days at Sea to relax on board, and a stop in San Francisco. Use your overnight in Los Angeles to take in the famous sights like the Hollywood Walk of Fame and also soak up the sun on LA's fantastic beaches! 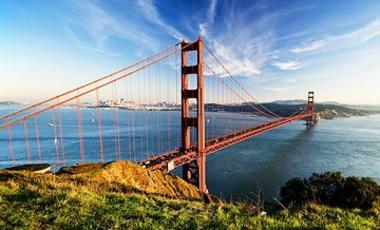 Depart from San Francisco on a 7 night cruise exploring California, Oregon, Washington and Canada. You'll wake up in a new city every morning before enjoying a relaxing day at sea and returning to San Francisco. 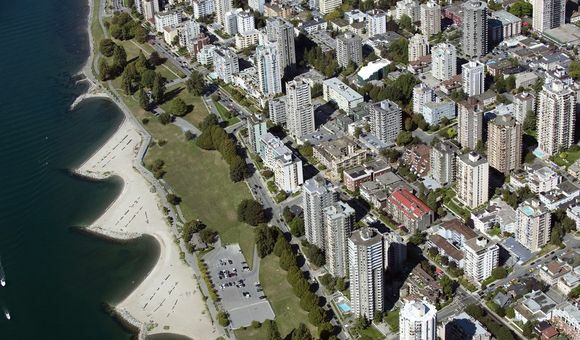 Make sure you try the delicious locally grown wine in Vancouver. Enjoy 7 nights on Celebrity Eclipse taking in West Canada and some of the most famous parts California, USA! Enjoy the comfort and fun activities such as the "Hot Glass Show" glass blowing workshop on board Celebrity Eclipse on your two days at sea! The city of Fort Lauderdale in the U.S. state of Florida and makes an ideal holiday destination. Due to the many canals in the city, Fort Lauderdale is also known as the American Venice. In the 1970's, the area was very popular with students celebrating Spring Break but these were replaced by cruise vacationers in recent years. Fort Lauderdale offers beautiful beaches, museums, the world's biggest everyday flea market and also the world's largest drive-in cinema, which has 13 screens. New York is one of the most renowned and iconic cities in the world with famous sights and landmarks at every turn you take. Visitors are guaranteed to be amazed by the world-acclaimed Statue of Liberty and Empire State Building landmarks. The beautiful and serene Central Park is a must see for all visitors. Shopping enthusiasts will be mesmerized by the various premium outlets that Fifth Avenue and the Rockefeller Center have to offer. New York is packed with famous buildings and locations such as Times Square, Wall Street and Brooklyn Bridge which is sure to captivate the masses of visitors. Halifax, Nova Scotia is located in Canada and offers a wide range of leisure and excursions. The port city is home to numerous museums, galleries, shops and historic buildings. From here you will be able to take a trip to the fishing village of Peggy's Cove or alternatively, kayak along the coast. With a bit of luck you may even be able to spot some whales, seals and dolphins! Known for great strength in culture and nightlife. Hosts many festivals throughout the year, such as music, film and tattoo festivals. San Francisco is an American city located along the coast of Northern California. San Francisco offers a hilly landscape, complete with cable cars which connect some of the hills and offer panoramic views during the crossing. Many of the buildings in San Francisco are known for their Victorian-style of architecture, while the stand-out landmark for many is the impressive Golden Gate bridge. which is open to pedestrians between 5 am and 6 pm. Visit Wave Organ for views of the notorious Alcatraz Island and listen out as the sea 'plays' the organs every time the waves come crashing in. 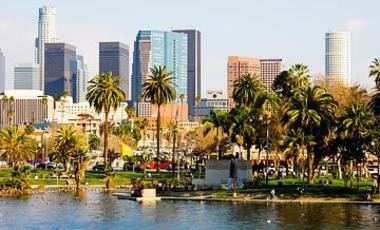 Los Angeles is a star-studded city located in California in the United States. The city is home to numerous famous neighbourhoods such as Beverly Hills and Hollywood, including the iconic sign located in the Hollywood Hills. Those interested in arts and culture should check out Museum Row. Sun-worshippers should head to some of LA's beaches such as Venice Beach with it's famed boardwalk. Looking for some retail therapy? Hit up Rodeo Drive for the best selection of designer labels. The Hollywood region of the city and the Hollywood Walk of Fame should not be missed by movie lovers. Boston, in north-eastern United States and is one of the most culturally enriched cities in the country. In addition to the historically important sights that can be found in Boston, there are also architecturally fascinating buildings, creating a beautiful cityscape. The Freedom Trail allows visitors to trace back through the steps of the American Revolution, while the National Historical Park also provides an insight into the rich history of the city. A trip to Fenway Park, home of the Boston Red Sox is simply a must for all sports fans . Tour Fenway Park and enjoy all its quirks. The city of San Diego is located in the state of California, along the Pacific coast and embodies an urban lifestyle, with many popular surfing beaches. Tourist attractions include San Diego Zoo or the Wild Animal Park. Balboa Park with spacious green areas and a handful of museums is a great place to get to know the city. The beautiful beaches of La Jolla are perfect for unwinding and enjoying the San Diego sunshine, while the Gaslamp Quarter offers the perfect opportunity to try out some of the many restaurants and nightclubs the city has to offer. Key West is located on Key West Island at the western end of the Florida Keys. Visitors especially enjoy the azure blue sea and white sand beaches. For divers and snorkelers, the underwater snorkeling park is a must. At Mallory Square and Duval Street you will find many shops and restaurants - try the Key Lime Pie, a cake with the unique taste of Key lime. Little White House Musuem, former Winter white House of Harry S. Truman. Once the place of residence for Ernest Hemingway where it's believed he wrote part of A Farewell to Arms. North America is steeped in history from its rich colonial past to its present day fusion of diverse races, religions and cultures. This far-reaching continent has an abundance of diverse climates, terrains and vistas, revealing America in all of its spectacular wonder. A North American cruise promises to delight with a diverse range of impressive landscapes, iconic cities and rich history. These are just some of the reasons as to why the continent of North America is becoming increasingly popular among cruise adventurers and enthusiasts. Discover the vast expanses of natural beauty that Canada has to offer, while bearing witness to northern Canada’s diverse eco-systems and spectacular landscapes of unspoiled wilderness. Wine and dine along coastal areas of sophisticated ports with tall lighthouses in the quaint towns of Newport, Portland and Bar Harbor. Cruise the west coast of the USA and discover the delights and serene charm of New England. America’s Northeast coast has so much to offer, boasting some of the world’s most iconic cities and home to some awe-inspiring sights. Attend a delightfully dynamic Broadway musical in New York City, or discover the outstanding natural beauty of Niagara Falls which lies between the USA and Canada and witness the glittering water cascade into the basin below! Taste the south-eastern beauty of Florida, the US gateway for cruises to the Caribbean and home to aquamarine seas, sun-drenched beaches and year-round sunshine. Shop in some of the Sunshine state’s finest malls and sample the exciting nightlife in the area’s diverse bars.